Paul B. Sturtevant is tired of quantitative studies that aim to broadcast the public's ignorance of history. To him, they reduce history to memorizing facts and dates while taking "an explicitly negative position when framing the results," typically focusing on the small minority of people who failed the test. Sturtevant, an American with a Ph.D. in medieval studies from the University of Leeds who now works at the Smithsonian Institution, believes there is a more fruitful approach for historians and public alike. Quite simply, instead of playing Jeopardy followed by an insulting headline, historians and surveyors should study how the public understands the past. That's exactly what Sturtevant has done in The Middle Ages in Popular Imagination. Specifically, the author wanted to learn "how the public understanding of the Middle Ages is shaped by big-budget films." Avoiding conjecture and anecdote, as well as mass surveys, Sturtevant took a qualitative approach with four small focus groups of British adults who had no professional training in history. Sturtevant first conducted word-association games, learning that "almost all participants said the term Middle Ages refers to a period of real history, whereas 'medieval' refers to a setting for fantasy and legend." This may surprise historians who use the terms interchangeably. When discussing what participants knew about the period, most expressed distrust for their previous schooling, but "they were most enthusiastic when describing memories of participating in their learning experiences, whether by learning with family, visiting historical sites and museums, or engaging in living-history-style lessons." Still, it became apparent that their perception of the when, where, and who were part of the medieval world was strongly influenced by their schooling. The meat of the book is the viewings and discussions of the films Beowulf (2007), Kingdom of Heaven (2005), and Return of the King (2003) — a recreation of a medieval poem, a historical film, and a pure fantasy. 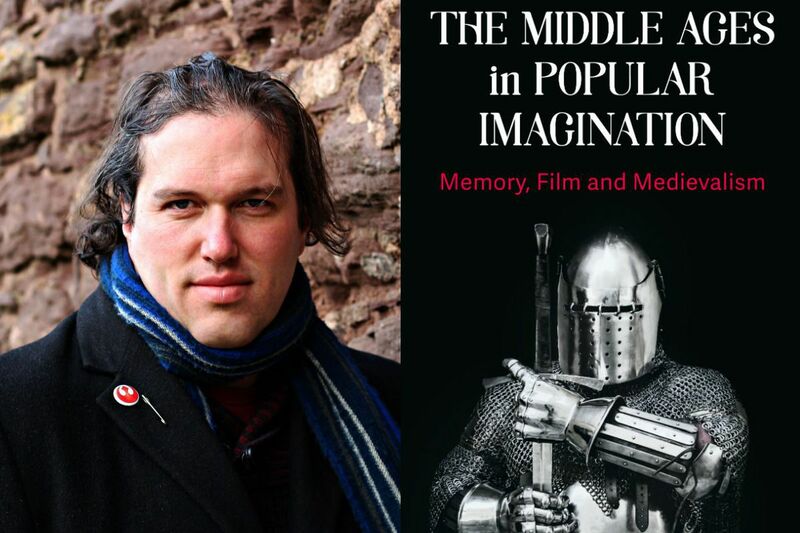 Though some may discount the latter, "any film which is perceived to be medieval by its viewers has the potential to contribute to the public understanding of the Middle Ages" and all participants saw the film as medieval. The process is illuminating, as Sturtevant doesn't interfere with the discussion groups but allows the reader to vicariously learn history — and how films influence our perception of history — through his commentary. The most fascinating revelation was that participants' "ideas became more sophisticated as they combined ideas drawn from each film." After four focus groups, Sturtevant found that "little learning seems to occur from one film in isolation. But far more learning was observed when examining several films in conversation with each other." Just a few examples include how participants gained an appreciation of medieval sea travel, shattering their unconscious perspective that the medieval world was landlocked. The films also discouraged the notion that the Middle Ages were predominately English despite the films' accents. They also recognized the use of trebuchets from film to film as a medieval icon. On a less positive note, Sturtevant concluded "medieval films seem to be an obstacle to, rather than a facilitator for, truly empathetic connections with historical people." This was most evident in how participants discussed medieval religion with disdain, often envisioning illiterate people universally believing whatever came from a maniacal Catholic Church, even when a film conflicted with this notion. Sturtevant rightly concludes that "if we separate ourselves from our historical forebears by this metric, seeing them as 'other' or even 'lesser' for their religious beliefs, there is little stopping us from doing the same to those of other religions." Medievalists have their work cut out for them. Deceptively narrow in its focus and audience, this book should have a broad appeal to those interested in how we remember, misremember, challenge, protect, and change our perception of history, in and out of viewing films. A detailed outline for recreating the study is included that can be applied to any period. Scott Manning (@warpath) works at Comcast and is on the board of the Mid-Atlantic Popular and American Culture Association.